The Pac-12 Networks have been underwhelming to say the least. 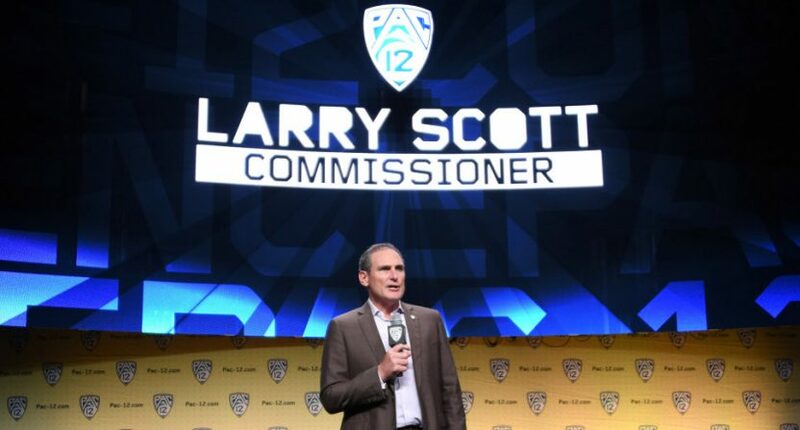 With schools not nearly getting as much revenue as they expected from the networks, commissioner Larry Scott was looking to sell a 10 percent stake in the conference for $500 million to private investors. Even though a former hedge fund manager said that “probably wasn’t going to happen,” the Pac-12 decided to bump up their figure to $750 million with a 25 year commitment. Despite that, the Pac-12 is betting on themselves and showed that by turning down the biggest sports network in the country. As reported by Sports Business Journal’s John Ourand and Michael Smith, the Pac-12 turned down an offer from ESPN to distribute their networks in exchange for an extension of their rights agreement that would have given ESPN the Pac-12’s rights “well into the 2030s”. On the surface, this offer from ESPN looked like a great lifeline to bail out the Pac-12 and their struggling networks, but the Pac-12 is (again) betting on itself when the next round of rights negotiations comes up. With their current TV rights deal with Fox and ESPN ending in 2024, the Pac-12 is hopeful that within the next five years, digital outlets will join traditional TV networks and create a bidding war for their next rights deal. The Pac-12 is getting $3 billion over 12 years from ESPN and Fox, so this rights deal is one of their biggest revenue generators. Extending with ESPN now would remove much of the uncertainty around the Pac-12 Networks and their distribution, but would also deprive the conference of a potentially larger payday in the future. In addition, the Pac-12 didn’t want to cede complete control of the networks to ESPN, and that ESPN felt like their offer to the conference was a long shot. But just like playing the lottery, you can’t win if you don’t play, so they figured it was worth a try. ESPN has shown that they can operate a conference’s network with minimal bumps in the road, and close carriage deals with major providers for those networks (especially the SEC Network), which would have been their major selling point to the Pac-12. While the Pac-12 Networks are struggling and there’s a perception that the conference is desperate for outside investment, they may have made the right decision to not partner with an outside operator. While a deal with ESPN probably would have finally gotten the network on DirecTV, the risk of losing out on potentially billions more dollars in their next rights deal was too much of a risk, and the Pac-12 still values the control they have over their network and its content.